So, we are all coming in grey. Jackboots or ankle boots? I was tempted by jackboots even though it is autumn 1944, to add to the 'never been near the front line' look. I think I'm going to go for jackboots. Its not a massive site so I shouldn't get too uncomfortable like I sometimes do in jackboots. 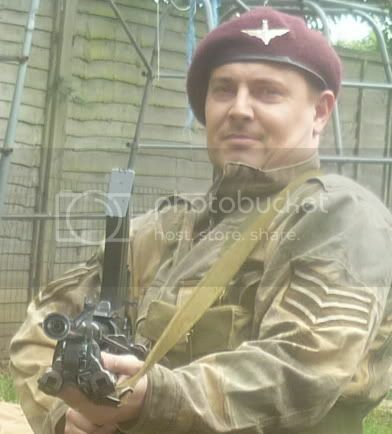 I'm basically going for the classic warfilm/training manual look- field grey, bare DD helmet, jackboots & K98. I'd go greatcoat too if it was cold enough.